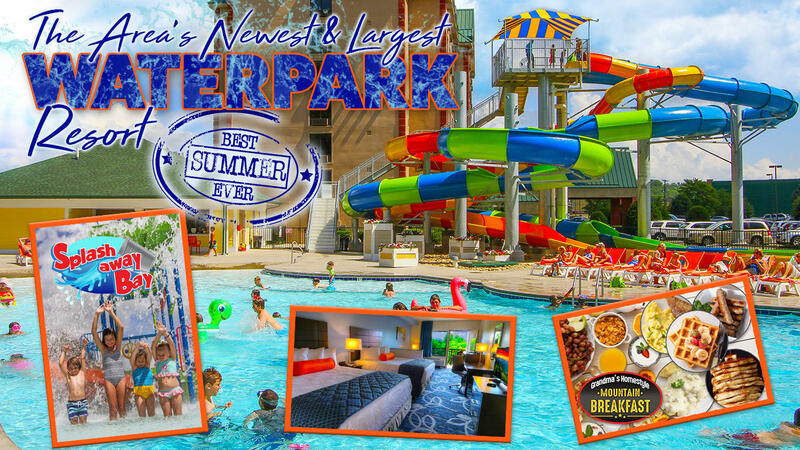 Country Cascades Waterpark Resort features 236 guest rooms. All guests have full use and access to the Cascades Waterpark. Each morning begins with the included breakfast at Grandma's Kitchen. All guest rooms feature microwaves, refrigerators, iron & ironing board, hair dryer, and coffee makers. As of August 2018, all 138 rooms have been completely remodeled! Our extensive "1/2 Million Dollar Remodel" includes everything from drapes, linens, carpet, counters, back lit mirrors, upgraded leather and modern wooden furnishings. Learn more about the rooms and amenities of the Country Tower. New in 2017, the Summit Tower features 98 nonsmoking "split-room" suites. Every room includes a balcony or patio view of Mt. LeConte or the Cascades Waterpark. Learn more about the rooms and amenities of the Summit Tower.